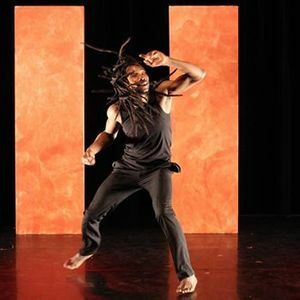 Dance or Chaos | Contemporary Dance performance by Souleymane Sanogo | free entry and open to all ! 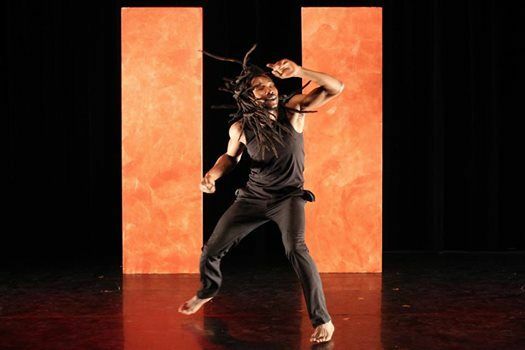 Choreography: TidianiNdiaye, from a story by Jean-Louis Sagot-Duvauroux and Souleymane Sanogo. Consulting director: François Ha Van. Creation: BlonBa / Harlequin Theater, with the company Copy-Paste. The story begins in a country village, 650 km north of Bamako, Mali. The child follows the line of the millet plans that his hoe, his muscles, his hands, hoe. The hoe and the toil are too heavy for him. The child, of Moslem family, bears the name of a king of Israel, Souleymane, Solomon, but it is called Solo. Fifteen years of age. Solo meditates his escape. One day, he flees. The artifices of adolescence and the tricks of freedom lead him to the streets of Bamako, the capital. Nights under the stars and rapines in organized band. Mendie meals and euphoric glues. He does not say everything. Illegal travels to Senegal on the buffers of the train climbed on the way and from which fall the least resistant. One day, his mother comes to Bamako, finds his trace, begs him, summons him. He answers his call, goes to his convocation, listens to supplications, remonstrances, and then escapes again.